Our apologies – we just can’t not post something related to the Chinese New Year celebrations. 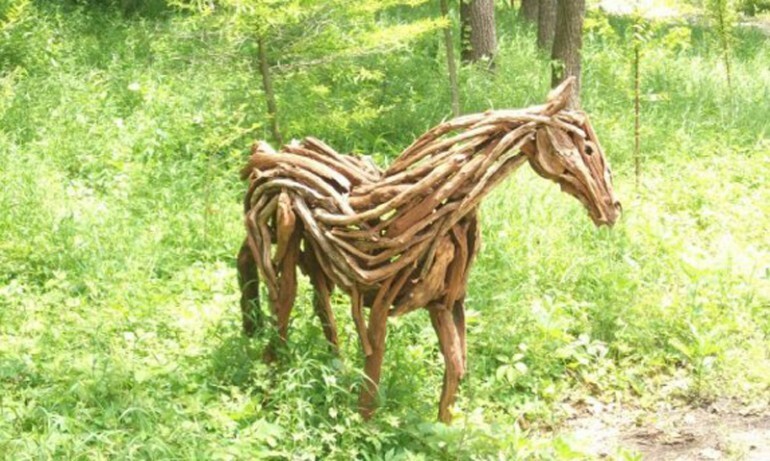 So we’ll be featuring some of the best creations of art inspired by horses. Don’t worry this is not about horses in art or art history. These are not your typical oeuvres. These are also not just any Chinese-related art with the manifest Oriental touches. These horse artworks will sweep you off your feet. Caveat: These selections have been chosen based on the availability of their “free to reuse” photos. 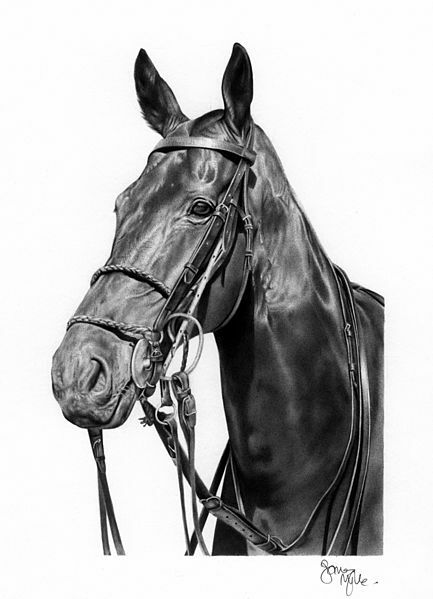 Did you know that this horse image was created using a ballpoint pen? Yes, it’s a work of art drawn using a typical ball pen on an ordinary paper. It’s amazing how realistic it looks. Well, it may look like a horse photo that has undergone some Instagram filter treatment but you can’t deny how impressively realistic it is. The level of detail put into the image as well as the realistic contrast of shades and highlights make this art stunning even without knowing that the medium used is a lowly ballpoint pen. © Copyright Jeremy Bolwell and licensed for reuse under this Creative Commons Licence. Call it a perfect combination, this horse art made of horseshoes is not a very unique idea but it is definitely impressive in its presentation. It’s an artistic way of recycling old horseshoes. This sculpture is about the size of a real horse. 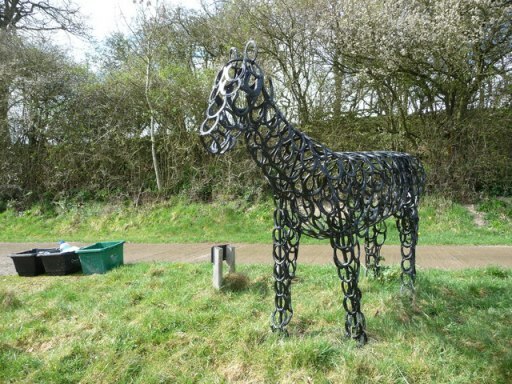 It may not feature all the parts of equine anatomy but it certainly catches the eye and serves as a good installation near Wilderhope Farm’s entrance. The sculpture is dominantly black in color but the “hollowness” makes it a good match for its location. Well, it can possibly be a good match for any environment given its atypicality. This art here is one of the best representations for the year of the horse – the year of the wooden horse. 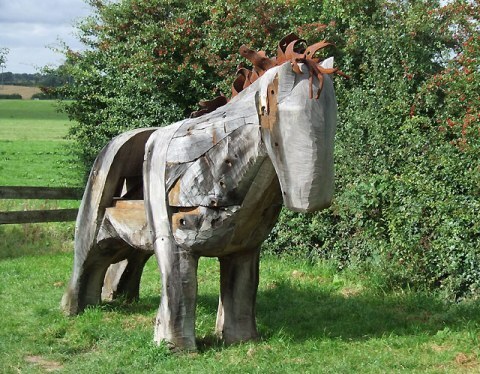 Created by Rachel Wilson, this wooden horse sculpture is not your typical carved oeuvre. It is made of tree branches and twigs pieced together. Hedge wood was used here as the artist deemed it to be the most suitable material, with its inherent strength and gloss. The result is an impressive horse model that appears to be emphasizing the muscular build of horses. Indeed, resourcefulness and recycling can yield magnificent works of art. 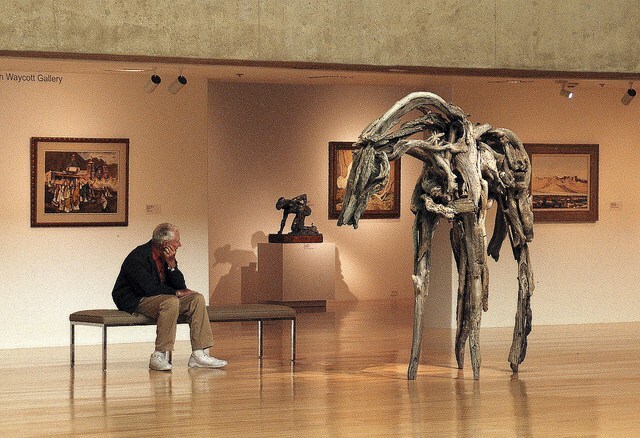 Although not as attractive as the smooth and muscular appearance of Rachel Wilson’s wooden horse, this wooden horse displayed at a museum also looks wonderful and is made more regal by the area’s lighting. It looks rough and seemingly unfinished but these qualities are what make it appealing. It’s puts emphasis on the edges and coarseness similar to the exaggeration at fashion shows, intended to create highlights and impact. A wood and iron sculpture, this creation by John Merrill and Julian Taylor is one of the many sculptures created to commemorate the restoration work done at the Nantwich Embankment. Its iron and wood pieces are recycled materials taken from old lock gates. This huge equine art is one of the few commemorative sculptures that still look presentable. The others, mostly made by students, have already degraded due to the continuous exposure to the elements. Well, it’s not really what the artist intended. It’s just a plain horse but the intricate detailing in the head makes it look like the mythical fire-breathing serpent. This enigmatic looking piece is indeed stunning. The magnificent piecing of the different bits of wood creates a regal appearance comparable to or even better than the intricate details of gargoyles of Notre Dame de Paris. What’s really eye-catching about this horse sculpture is the way it looks like it has emotions. 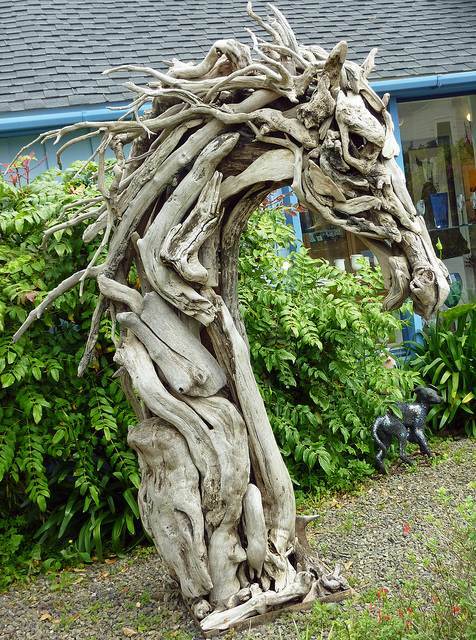 This is definitely one of the most appealing horse sculptures made of wood. Horse-inspired art nothing new as horse statues have been quite common even during the ancient years. Horse drawings have also been in existence since the era of cavemen. Nevertheless, beautiful equine art creations are ceaselessly appealing, hence worth remembering as the year of the horse (as the Chinese put it) turns in.